Heading North... Take a scenic drive Tourist Route 40 to Murwillumbah - The Tweed Valley Way Exit. Heading South... take a scenic drive through Murwillumbah to Burringbar and on to Brunswick Heads or the Pottsville Exit. 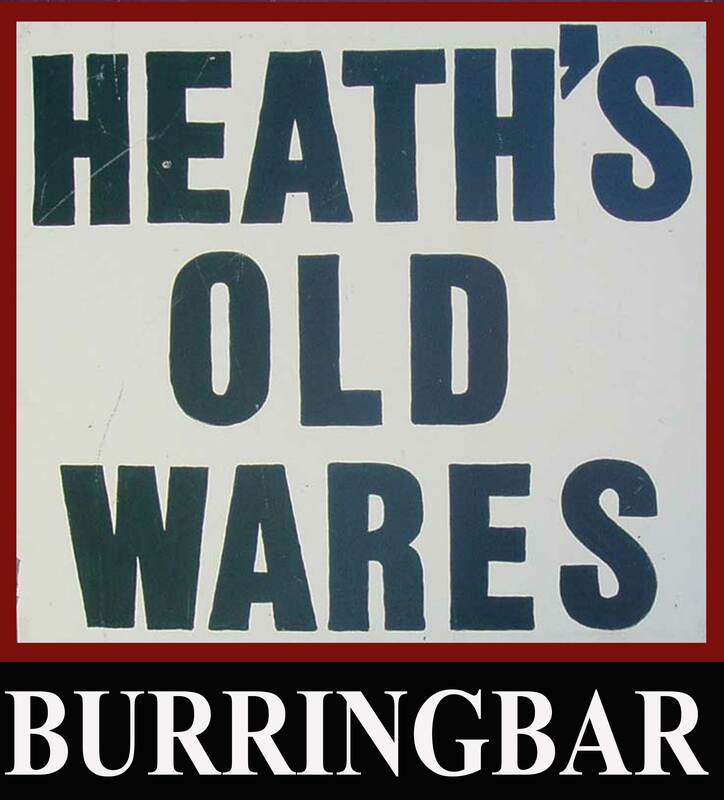 Heath's Old Wares & Collectables is known for antiques, industrial antiques, tools, collectables and unusual treasures. 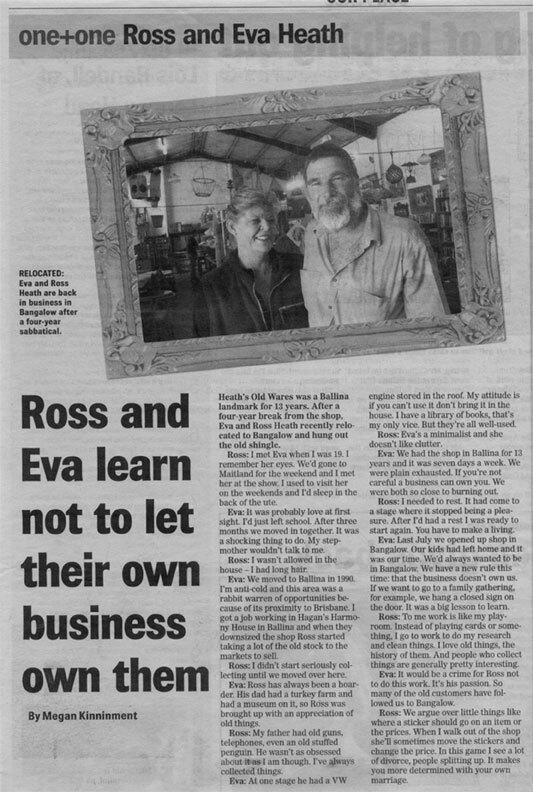 19-21 Broadway, Burringbar 2483... just up the road a little from Byron Bay! We have been compiling and distributing a reference list called 'The Local Trail' for over 20 years. 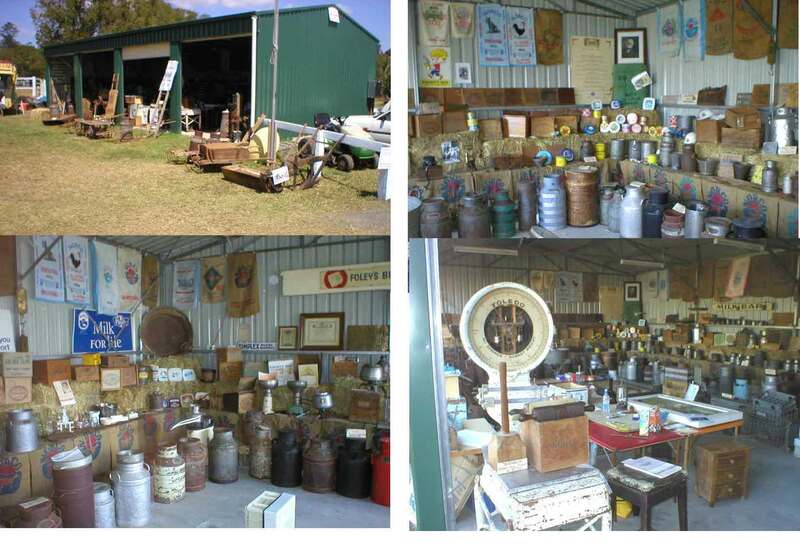 from Chinderah Bay Antiques north, south to Ullmara (30 minutes north of Grafton) west to Casino and Kyogle. are available by clicking 'The Local Trail' . 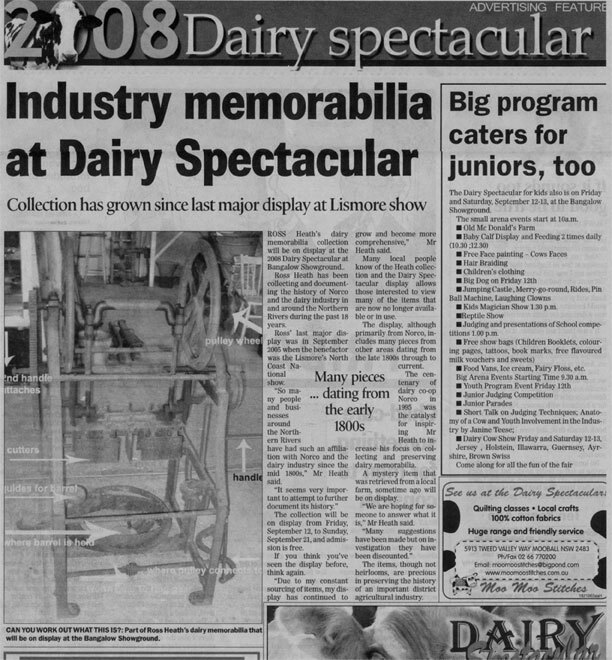 he has compiled an extensive collection of Dairy Memoribillia, which takes a couple of weeks to set up for special occassions. 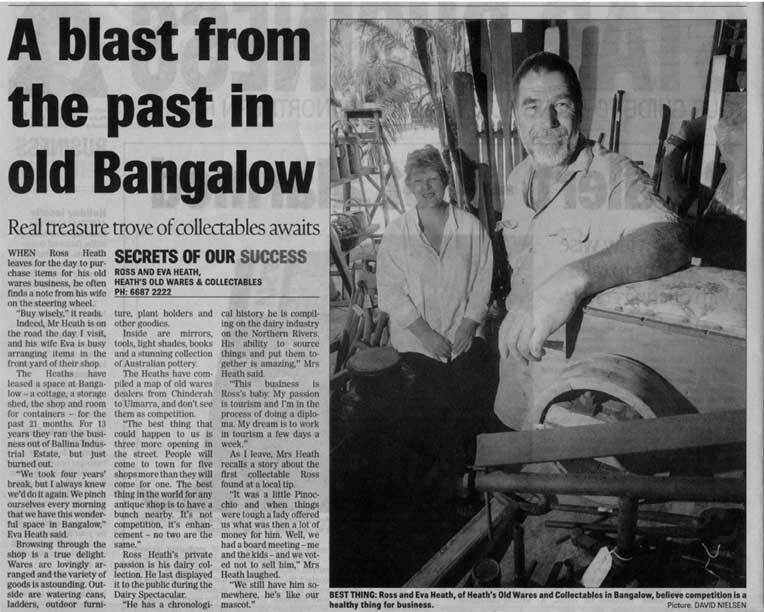 Alstonville Historic Society, Primex in Casino, The Lismore North Coast National and the Dairy Spectacular when it was in Bangalow in 2008.
movies, television shows, commercials, plays, weddings, photo shoots and displays for over 20 years. We have a buy back system that works very well.